Did you ever hear voices right before you were about to fall asleep? As a mental health professional, I’ll probably receive ridicule and a complete disconnection from the medical community for this topic but it’s something that needs to be addressed within the field of psychology: channeling. Ever since I was a child, I heard muffled voices at night right before falling asleep which sounded like a conversation in a nearby room, yet I knew that these voices were not my parents or sisters. I assumed that everyone heard these voices and never spoke to anyone else about them until I was older, and even then, I was very selective who I told this to. As a child & family therapist, it would not behoove my credentials to admit this to anyone within the mental health field as most professionals are trapped inside the box and would misdiagnose this ability as schizophrenia, which clearly, it isn’t. Many times, religious zealots will accuse channelers of being possessed by the devil, which I find very ironic because many of the stories in the bible are basically channeled messages from God. Once again, Christianity shows its hypocrisy. As you are falling asleep at night, your brain enters the alpha state, where channeling is most common. For some people, they are still cognizant when this occurs and they will begin to hear muffled voices that sound like they’re coming from an adjacent room. 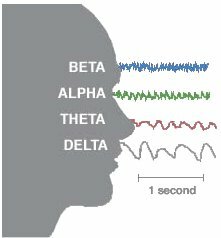 The alpha state is the brainwave level of consciousness that you attain when you meditate or daydream although meditation can also bring you into the theta brainwave as well. Its onset begins when your brainwave activity becomes relaxed and effortless alertness. You begin to breathe deeper and more rhythmically as the muscles in your body become more relaxed. This is also referred to as the hynagogic state which is conducive for Out-of-Body-Experiences (OBE’s), self-hypnosis and psychic abilities. With practice, you'll be able to fine tune this ability to the point of where you can have conversations with these entities. Now that you know what's going on, I would suggest that you protect yourself with white light before you go to bed each night, because not all of these entities may be benevolent. That being said, none will hurt you, either, if you are protected. From my experience, these voices are benevolent. They’re actually happy that you have this ability to telepathically and instantaneously communicate to them through great distances. One of my connections comes from Zeta Reticula, Quadrant Z and the voice is multilayered and androgynous, as if both a male and female were speaking simultaneously. What do you talk about during these transmissions? When I first had a conversation with “them”, I immediately questioned everything I was told, especially the area where they said they were from because it didn’t sound real to me. To my surprise, Zeta Reticulum exists, but I still have no idea where Quadrant Z is located. They explained the importance of developing a self-sustaining community in the near future. The following day, Universe guided to create templates and basic floor plans for sacred geometry-shaped spiritual communities, such as a subdivision shaped in the Flower of Life, where all of the houses are eco-friendly and are Feng Shui, while the street lights are solar and not only light up the streets, but also have lights that face toward the sky. 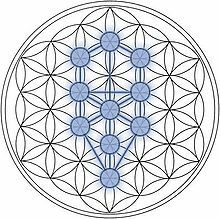 If you were to take an aerial picture at night, you would visibly see the Flower of Life. It would almost be “our” version of creating crop circles to be viewed by our galactic neighbors, in essence telling them, “We finally get it”. Perhaps this is one of the reasons why we receive crop circles? Maybe they are templates for self-sustaining communities as well as encoded messages? If you only hear these voices at night when you are about to fall asleep, then I wouldn't recommend telling this to a mental health professional because they will misdiagnose you as being schizophrenic, which clearly, you're not. Then, being the Big Pharma whores that they are, they will medicate you with an antipsychotic, such as Thorazine, for something that is a metaphysical gift and NOT a disorder. Go with the flow and let it continue to happen the way it is or learn how to fine tune this ability. One thing you'll learn is that these voices speak just like you and me. They don't talk the way most "channelers" say they do such as, "Dear beloved ones....". It's everyday talk. Another thing you'll discover is that your conversations with these entities will be completely telepathic. Whatever questions you have for them will be answered while you're in the thought process of actually thinking about that question. Have you ever had a sleep study done? This is where they hook up a bunch of non-invasive electrodes on your body to monitor your sleep patterns. I had a sleep study done when I had sleep apnea and it returned an unusual result. I immediately go into the alpha brainwave dream state at night and get ZERO deep sleep. I literally dream all night. While it sounds great, my body doesn't get the deep sleep to feel re-energized each day, so I end up taking a nap around 12-1 pm every day...and dream some more. If you've never had a sleep study done, then do you dream a lot? Have you ever caught yourself having a dream as you started drifting off to sleep? While schizophrenia may be a metaphysical gift as well, it probably is something that should be addressed by a mental health professional because these types of voices can be debilitating to your mental and physical health and demeanor. 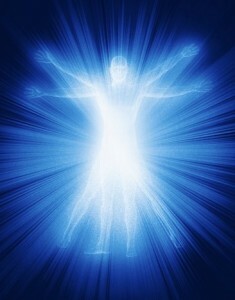 Since my spiritual awakening, I tend to look at things from a spiritual, metaphysical and holistic viewpoint. For example, the article Attention Deficit Disorder (ADD) and Ascension was written from those perspectives, which is rather unique in this field. While I realize that I will be ostracized by the mental health community for this article, I also realize that the mental health and counseling field needs to be taken into the next level of care and treatment. I am in favor of a complete revision of the DSM-IV (Diagnostic and Statistical Manual of Mental Disorders) in which holistic solutions are the first alternative for treatment versus turning to Big Pharma which hasn’t cured anything since polio because there are no repeat customers when you find a cure. If you are a mental health professional and are interested in spiritual counseling, then contact me, because this is an area that needs to be professionally addressed from a spiritual, metaphysical and holistic approach. If nothing else, it would be great to set up a spiritual hotline for counseling those in need. 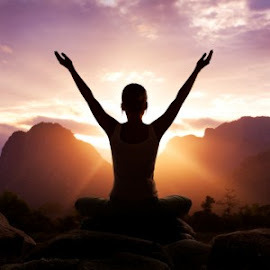 If there is an interest, then I will convert www.in5d.net into a spiritual and holistic website that addresses similar issues while providing a spiritual counseling hotline. Copyright Information: Copyright in5d and Gregg Prescott, M.S.. This content may be freely reproduced in full or in part in digital form with full attribution to the author and a link to www.in5d.com.